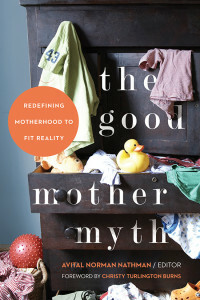 In an era of mommy blogs, Pinterest, and Facebook, The Good Mother Myth dismantles the social media-fed notion of what it means to be a good mother. This collection of essays takes a realistic look at motherhood and provides a platform for real voices and raw stories, each adding to the narrative of motherhood we don’t tend to see in the headlines or on the news. From tales of mind-bending, panic-inducing overwhelm to a reflection on using weed instead of wine to deal with the terrible twos, the honesty of the essays creates a community of mothers who refuse to feel like they’re in competition with others, or with the notion of the ideal mom — they’re just trying to find a way to make it work.